I have always had a clear idea about how I want to organize my closet, set my kitchen and decorate my home. I don’t even need a Pinterest board. All the inspiration I see around me creates images in my head and then I try my best to find those pieces physically. I wish to create a space which is open, inspiring, cozy, and yet narrates the story of our life. Although decorating home is a life long project but in the past year, I have made some bid strides in finding the 'vibe' of den with art pieces. I had been taking my sweet time in picking art as I never wanted to buy things (art) just for-the-sake-of! I wanted art pieces to be design and color cohesive, but also have a story. There should be a purpose for everything we bring into our home. And I think I like what I have found so far. Take a peek into my home space and let me know what you think? 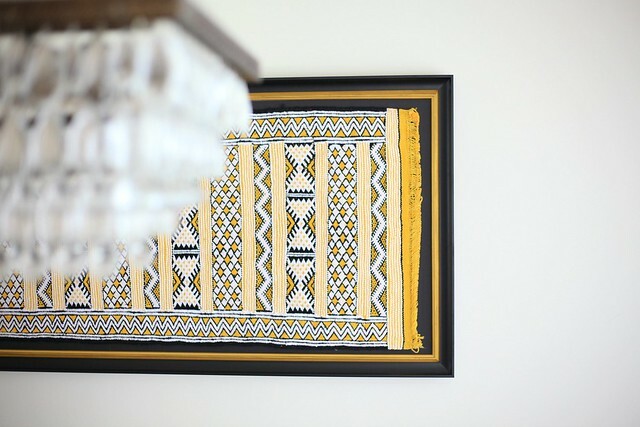 RUG from Morocco, converted into an art piece. Some of the art is from our travels, some represents the cities we have visited and some is to bring calm and serenity into our home. Minted has been a one-stop destination for kind of the art I was looking to bring finishing touches my home. This was the first piece of art we bought for our home. The colors were just in sync with the color palette of our living room. It was like it was custom made for us. I love this art pieces by Renee Anne. At the moment I have kept it as a leaning art piece on the staircase so that it doesn’t over-power anything else in the house. It makes a subtle yet bold statement. We picked this art print by Baunbirdy for our bedroom. It goes really well with the vibe of this room. This is the stand alone on the wall. My husband, loves it. I loved this balloon ‘letting go’. It is a good reminder for myself, to sweat the small stuff. It also adds to my eclectic dressing room decor. 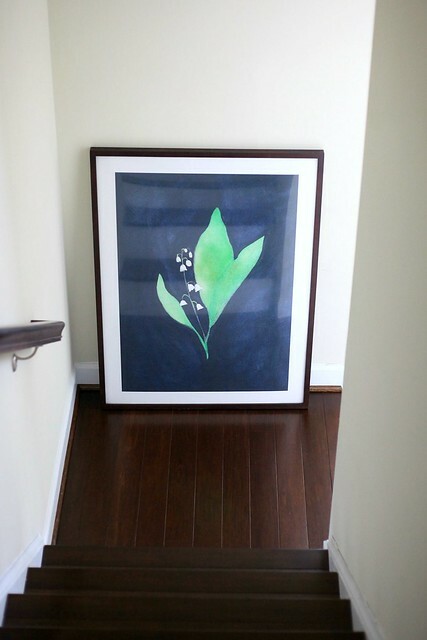 We are still looking for a spot for this colorful, vibrant 'fleur'. Any suggestions? 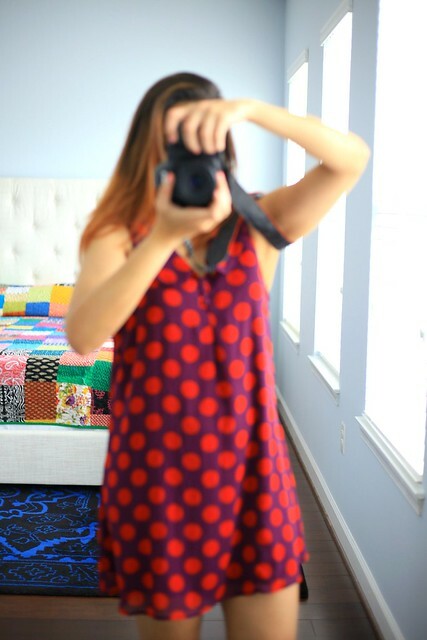 Love all the color and prints you have throughout your home! So gorgeous!! Lover of color here. :) Thanks Bree! Minted is always great. 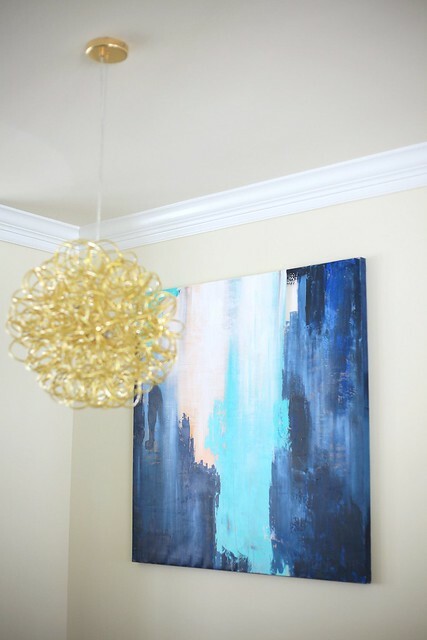 Love the blue art piece. 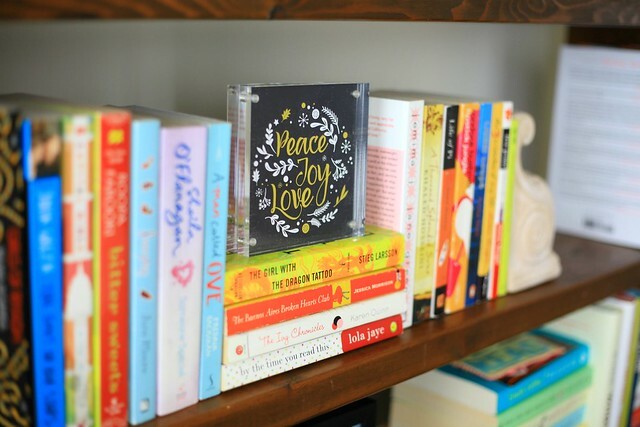 Love this glimpse into your home! 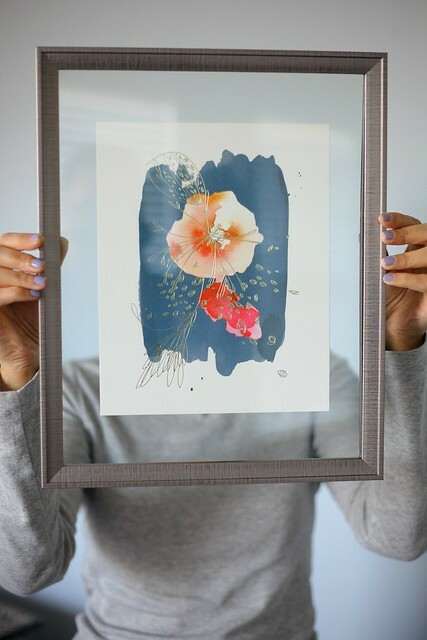 Love Minted art too! 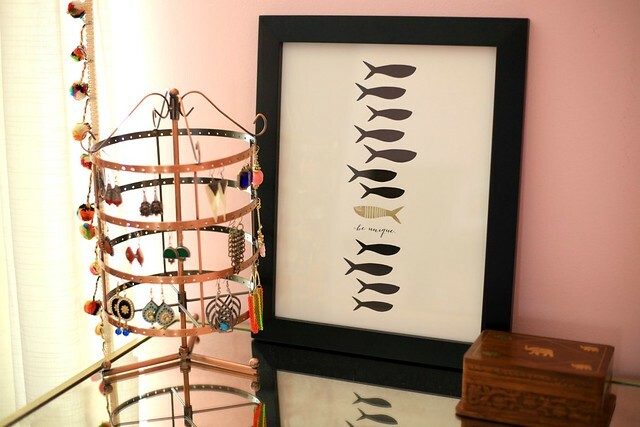 i could see myself using some of these art pieces..esp the letting go and fishy. Same here. I love color too. The prints you have are so pretty! 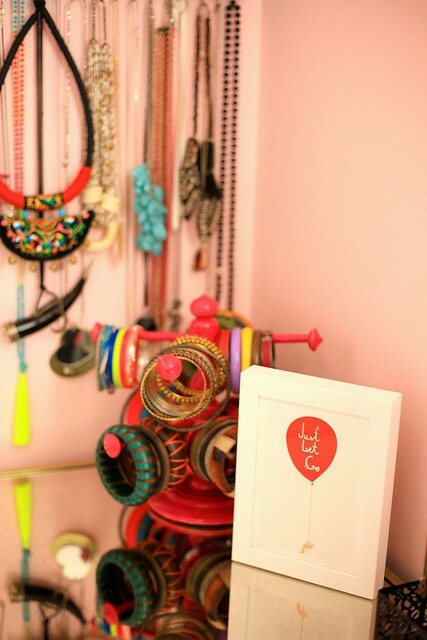 I love your jewelry stand too! Thanks for sharing your space with us, I love it! 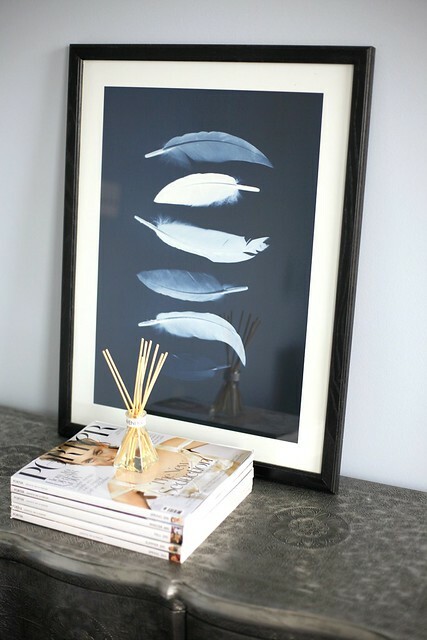 Love Minted so much -- cannot wait til I decorate with their prints in my new room! The pieces you chose are so cute. Forgive me but I did not read the write-up since the pics are so gorgeous! I love how your place has this morrocan/persian/indian vibes. There is a sense of balance without anything overpowering the space. Each and every piece is a reflection of your personality and taste. Beautiful colors and prints! Need a full house tour! Hopefully, an idea for your next posts!